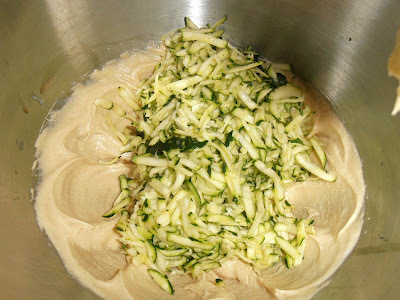 I know, I know, zucchini season has come and gone, but I just can't help myself - I love the stuff. Although pumpkin is this seasons 'it' fruit, I will always give zucchini it's due. I throw it in almost everything I make. Zucchini has so much goodness. It's a very underrated fruit. 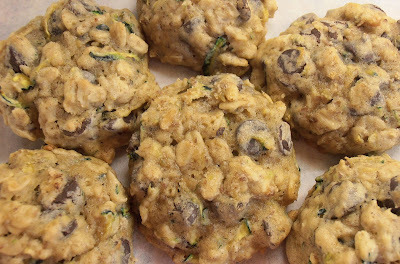 These came about when I was looking for some cookies to make with the 100 zucchinis I got from the local farm we get our fruits and veggies from. These are a keeper and quite the tasty treat. 2 cups chocolate chips (I love dark chocolate chips in these cookies! 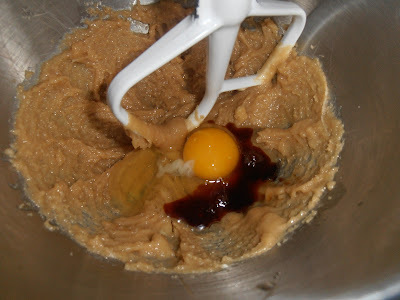 In a bowl, sift together the flour, baking soda, salt, cinnamon, and flax seeds; set aside. In a medium bowl, cream butter and sugar until fluffy. Stir in the egg and vanilla, mix well - batter will be light in color. 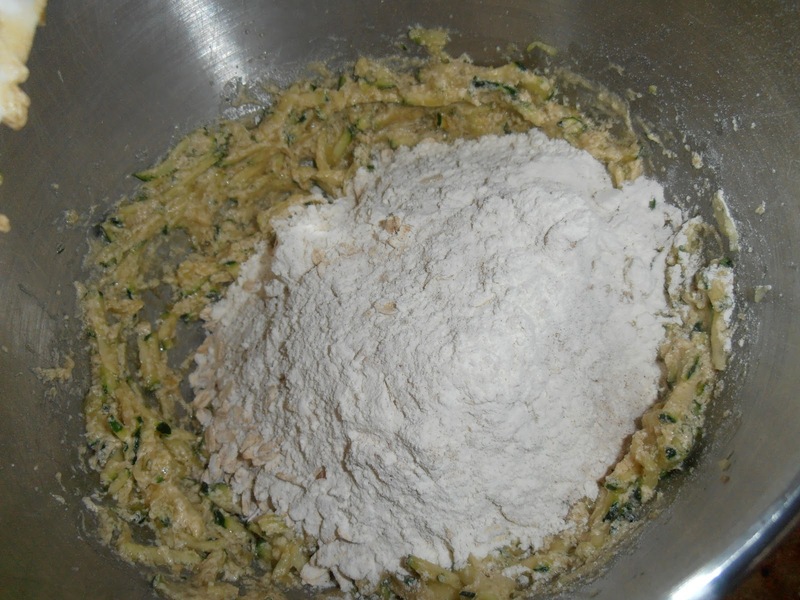 Stir in the shredded zucchini and mix until combined. Combine zucchini mixture and flour mixture together and blend until incorporated. 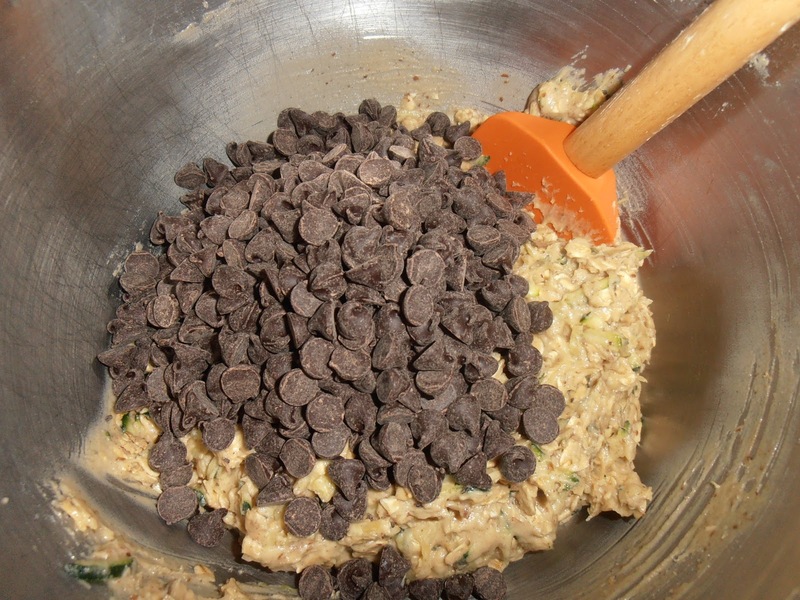 With a wooden spoon or spatula, stir in the oats and chocolate chips by hand. 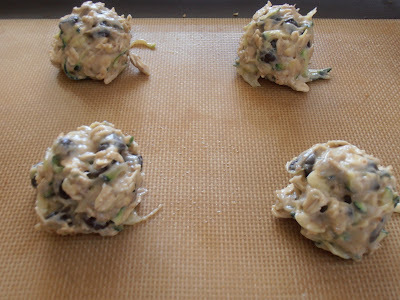 Drop dough onto an unprepared cookie sheet. I used my trusty ice cream scoop. Leave at least 2 inches between cookies. Bake for 12-14 minutes and transfer onto wire rack to cool.